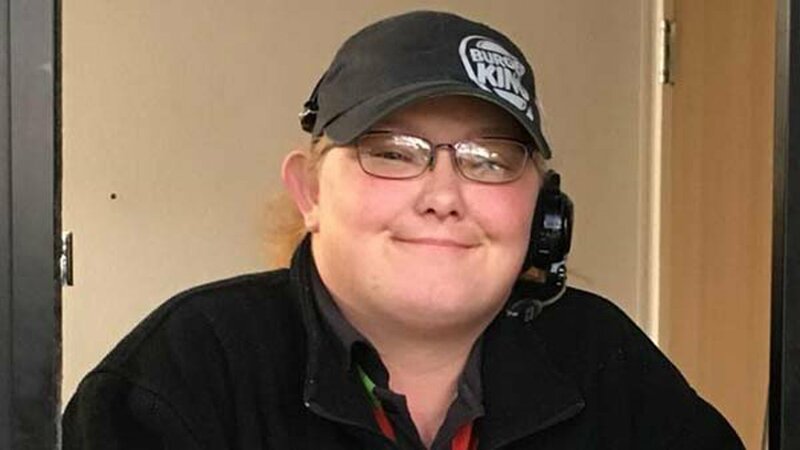 AMARILLO, Texas (WPVI) -- A Burger King employee in Texas is being hailed as a hero after she went above and beyond to help a diabetic customer. WLS-TV reports, Rebecca Boening said she was driving on the highway last week when her blood sugar dropped to a dangerous level. She got off at the nearest exit and made it to the drive-through lane of a Burger King where, lucky for her, Tina Hardy was on duty. Because her low blood sugar can make it difficult to think or act, Boening said she stumbled through her order but was able to let Hardy know she was diabetic and in need of food. Moments later, she saw Hardy running toward her car with a dish of ice cream. "I honestly at first didn't know who she was or what she was doing. It took me a minute to figure it out," Boening told WLS. "If I hadn't gotten something to eat when I did, I easily could've gone into a diabetic coma," Boening said. "I actually could have lost consciousness and if it had gotten worse, I could've even died from it." After paying, Boening said Hardy asked her to pull over into the parking lot so she could keep an eye on her until she felt better. She explained that she knew what to do because her husband was diabetic, too. After eating, Boening spoke to the manager to let him know that one of his employees had possibly just saved her life. "She had only worked there six months. She had no idea if she would be fired for leaving her post and the building," Boening said. Before leaving, she snapped a photo of Hardy and shared it on her Facebook page as a way to thank her - and the response was incredible. In a matter of days, Boening's Facebook post racked up more than 200,000 shares and nearly 500,000 likes. Since then, Boening said she's been in contact with Hardy and found out she doesn't have a car, so she set up a fundraiser to help. "Amarillo, Texas is pretty spread out and I don't know how she can function without a vehicle," Boening said. "I do think she should be recognized and rewarded."